NICK CAVE & THE BAD SEEDS. Second CD : Live. The Best Of. CD D’OCCASION / 2nd HAND CD. 1998 - Mute Records. Etat / Condition :Très bon / Very Good (avec boitier neuf si nécessaire).
" GRINDERMAN - GRINDERMAN 2 " - 2010 -. CD NEUF ET EMBALLE -. "NICK CA VE & THE BA D SEE DS - DIG ! 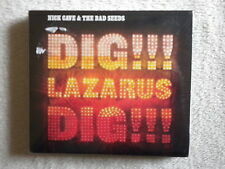 LAZARUS DIG !". - 2008 MUTE RECORDS LIMITED -. CD NEUF ET EMBALLE -. A very minor scuff and very little else can appear on the record. The flaw should be very hard to see. ANY blemish, prevents records from being M. Most common condition for records. Now the signs of age and handling are starting to show. Format:CD, Album, Reissue. 2 Say Goodbye To The Little Girl Tree 5:10. 8 The Six Strings That Drew Blood 4:50. 7 Blind Lemon Jefferson 6:10. 6 Wanted Man 5:27. 5 Knockin' On Joe 7:38. 4 Black Crow King 5:05. 6 I Let Love In 4:15. (Part 2) 6:12. Label:Mute ‎– CD STUMM 123, Mute ‎– 7243 8 41780 2 4. Format:CD, Album, Reissue. 5 Red Right Hand 6:11. CD : M neuf . Boitier : EX bon état , petites rayures . live 9 titres. 2 Cd origina ux en bon état. (Are you) the one that I've been waiting or ?. The weeping song. Where the wild roses grow ?. Nobody's baby now. CD : M neuf . Boitier : petite felure devant , petites rayures . CD : M neuf . Boitier : EX tres bon état, une micro felure derriere . CD :TRES BON ETAT TRACES LEGERES D'USAGE. Il existe un service économique pour l'envoi de CD et DVD. There is an economic service for the sending of CD and DVD. CD : M neuf . Boitier : EX tres bon état , petites rayures . 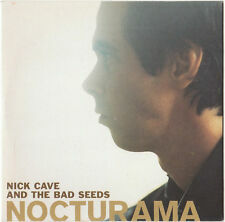 NICK CAVE AND THE BAD SEEDS NOCTURAMA. 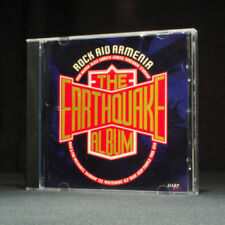 CD DVD DE 2003. DVD, DVD-Video, NTSC. 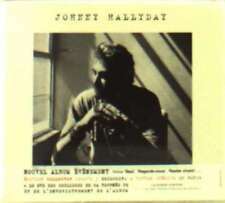 10 TITRES AUDIO DVD. Babe, I Am on Fire (DVD Video) 15.20. CD, Album. Wonderful Life. Babe, I'm on Fire. The Firstborn Is Dead (2009 Remaster) - Cave Nick And The Bad Seeds. Fabriquant: EMI MKTG. Manufacturer: EMI MKTG. Attori: Cave Nick And The Bad Seeds. Le consommateur supporte les coÃ»ts directs engendrÃ©s par le renvoi des biens. Attori: Nick Cave And The Bad Seeds. Le consommateur supporte les coÃ»ts directs engendrÃ©s par le renvoi des biens. DROIT DE RÃ‰TRACTATION IMPORTANT: Si dans les 48 heures. montant dÃ©finitif. The Proposition (feat. Warren Ellis) - Nick Cave. Attori: Nick Cave. Fabriquant: Virgin. Manufacturer: Virgin. Le consommateur supporte les coÃ»ts directs engendrÃ©s par le renvoi des biens. DROIT DE RÃ‰TRACTATION . Attori: Nick Cave & The Bad Seeds. Le consommateur supporte les coÃ»ts directs engendrÃ©s par le renvoi des biens. DROIT DE RÃ‰TRACTATION IMPORTANT: Si dans les 48 heures. montant dÃ©finitif. Fabriquant: EMI MKTG. Manufacturer: EMI MKTG. The Good Son (2010 Remaster) - Nick Cave And The Bad Seeds. Attori: Nick Cave And The Bad Seeds. Le consommateur supporte les coÃ»ts directs engendrÃ©s par le renvoi des biens. 03 Sallie Ford & The Sound Outside : Devil 2:13. 01 Eels : Open my present 3:08. 10 Harper Simon : Bonnie brae 4:09. 22 Nick Cave & The Bad Seeds : We no who U r' 3:53. 24 Ben Harper & Charlie Musselwhite : Blood side out 3:47. 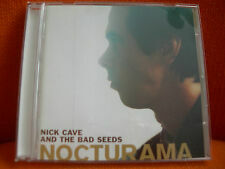 CD album ANTI STARS *NEW & Sealed * Supergrass Venus Nick Cave Interpol ..
Supergrass "Seen the light". Interpol "PDA". Nick Cave & the Bad Seeds "Bring it on". CD PROMO -ANTI STARS. Neuf et emballé / New and Sealed. Nada Surf "Inside of love". Ok Go "Get over it". Athlete "You got the style". Fabriquant: EMI MKTG. Manufacturer: EMI MKTG. Tender Prey (2010 Remaster) - Nick Cave And The Bad seeds. Attori: Nick Cave And The Bad seeds. Le consommateur supporte les coûts directs engendrés par le renvoi des biens. NICK CAVE & THE BAD SEEDS Kicking Against The Pricks. Title Nick Cave-Kicking Against the Pricks [Remastered] (2009). Artist Nick Cave. Duration Album. Release Year 2009. Tout neuf et scellé en usine. Interpret Nick Cave. Format Album. Label Mute. Song For Jesse. 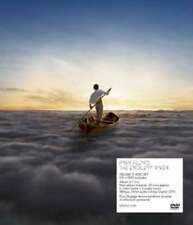 Release Date (Date de sortie): 05 Nov 2007 (05 novembre 2007). Format: CD. of Discs (Nombre de disques): 1. Another Rather Lovely Thing. What Must Be Done. The Money Train. Hier folgende CD / Here following CD Pop international Classic Rock & Pop Blues Delta / Country Blues. Rock englischsprachig. NICK CAVE & WARREN ELLIS "WHITE LUNAR". Hier folgende 2 CD / Here following 2 CD Rock englischsprachig. Sorya Market ("Phnom Penh"). Cheata ("Phnom Penh"). Magma ("The Vaults"). Daedalus ("The Vaults"). Nick Cave et les Bad Seeds Le premier-né est mort. Artist Nick Cave. Title Nick Cave-First Born Is Dead [Remastered] the (2009). Duration Album. Release Year 2009. Tout neuf et scellé en usine. 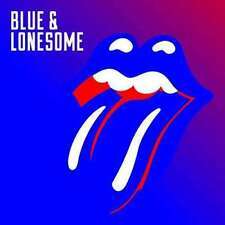 Style Blues Rock. Skeleton Tree. Label: BAD SEED RECORDS. Release Date (Date de sortie): 09 Sep 2016 (09 septembre 2016). Format: CD. Girl in Amber. Rings of Saturn. 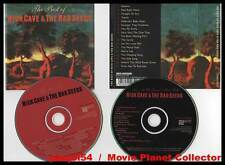 NICK CAVE & THE BAD SEEDS - b-sides & Rarities (Lim. Édition) (2005) 3 CD. Genere Rock. Sottogenere Classico: Altro. Condizioni Nuovo. Formato Album completo. Compilation Sì. NICK & THE BAD SEEDS CAVE - THE FIRSTBORN IS DEAD-REMASTER CD NEU. Hier folgende CD / Here following CD Pop international Alternative Artistfeature (Pop). Say Goodbye to the Little Girl Tree. Tupelo [Single Version]. NICK CAVE AND THE BAD SEEDS. LOVELY CREATURES. Interpret Nick Cave. THE BEST OF 1984-2014. Edition Best Of. DORT GIBTS WEITERE SPIELE/DVD/BLU-RAY/CD. DIGIPAK IST LEICHT GEPRÄGT. 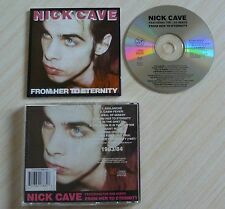 NICK & THE BAD SEEDS CAVE - TENDER PREY (REMASTER) CD NEU. Hier folgende CD / Here following CD Vendeur en ligne pour plus de 10 ans. Up jumped the devil. Slowly goes the night. New morning. Sugar, sugar, sugar. Interpret Nick Cave. Format Album. Ausländisches Produkt Ja. Genre Rock. Song For Jesse 2:35. Hier folgende CD / Here following CD The Money Train 2:38. Counting The Stars 1:19. Song For Bob 6:03. Moving On 2:32. Destined For Great Things 2:25. What Happens Next 2:08. NICK & THE BAD SEEDS CAVE - HENRY'S DREAM (REMASTER) CD NEU. Papa won't leave you, Henry. I had a dream, Joe. Hier folgende CD / Here following CD Alternative Artistfeature (Pop). Loom of the land. NICK & THE BAD SEEDS CAVE - LOVELY CREATURES-THE BEST OF. 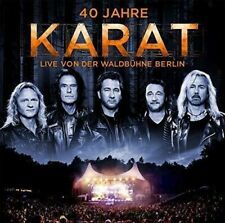 (DELUXE EDITION) DELUXE EDITION 3 CD DVD NEU. “Lovely Creatures” ist insgesamt in vier Formaten erhältlich, alle ausgestattet mit seltenen und persönlichen Bildern der Band. « Arbre de squelette » est leurs plus récents travaux publié en septembre 2016. Ils ont vendu plus 1 million d’albums aux États-Unis, avec 3 argent et 5 albums or. Au total, leurs albums ont atteint pour être 72 fois la top 40, 28 fois le top 5 et 6 fois la 1 ère place.